Anonymous Question: How do I keep my cool and prove my point when talking to someone who states that they hate Pit Bulls or the breed is vicious? Answer: First of all, what I do is judge whether the person even wants to hear what you have to say, so you're not wasting your breath talking to a wall. 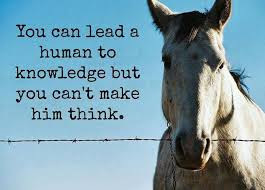 It's a little like politics or religion...You get defensive, the other person gets on their high horse thinking they've got your goat....Now you're the one who's upset. It depends on the personality as to what my response is going to be. Person #1- They know they're right, and want to be the one talking...Ask them open ended questions. What happened that was so awful? What were the people like who owned him? (Looking for some of the "bad owner stuff" in my past blog). The dog was on a chain all the time? (We all know that raises the chances for aggression immensely). Where were the child's parents? Oh, it was a stray...probably had no training ever... "How sad in so many ways". "Pits aren't typically aggressive to humans. Its actually not one of their traits. If they have hurt someone I would wonder about their socialization as a puppy, and the emotional stability of their owners". "Even most of Michael Vick's dogs have been adopted out to homes. A lot are even therapy and service dogs". (Because we all know people heard his story). "Human aggression isn't even a trait of the Pit Bull. Even horrible Pit fighters kill the Pits if they try to bite them. They aren't even allowed to bite if the human is breaking up a scheduled fight. That is only one way human aggression has been bred out of the breed". "One of the original reasons they were bred is because of their high pain tolerance, so they could handle being around kids". "That was just unfortunate. The dog's mouth was so big and the child's head was right there as the parents weren't appropriately supervising the situation. It wouldn't have been so bad if the bite was on an adult human leg". Person#3- They really want to learn...Give them websites to look at, movies to watch, and encourage them to meet an appropriate power breed some day. "They're are dogs with issues in every breed". There are many other situations you could encounter. Keep it short and sweet, and leave a person thinking, "Maybe I should read up on the breeds, or meet one some day". If your not pushy you might just leave something important ringing in their ears. 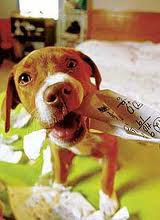 "Yes, statistically Power Breeds may do the most damage, but their mouths are bigger. That only makes sense". 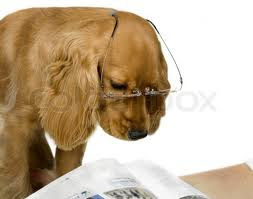 "Of course the large dog bites are reported more. What 250lb man wants to call the cops and admit a chihuahua bit his calf". 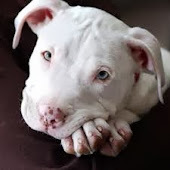 "Yes, Pit Bull bites may be one of the top dog bites statistically, but Pit Bull is a bully breed mix, not a pure bred. There are also way more pit bull mixes than any other breed". The key is to keep your emotions out of it. People are more open to information if it's not being shoved down their throat. Anonymous Question: What happens after the AITF sends the proposals to the City Council? Answer: To the best of my knowledge, the City Council will review the recommendations from the AITF and decide what they want to change about current legislation. The City Council will meet with the city's legal department and discuss liabilities and legal jargon. When they have come to an agreement there will be a Council meeting. Beyond that, what I understand is they vote, and if the public disagrees there can be petitions signed. Information for Springfield's Pit Bull community: Everyone needs to take a deep breath and really listen to the ordinances proposed. If the City Council adopts what the AITF is proposing...Pit Bulls registered because of the current legislation will be on the Potentially Dangerous list for one more year. After that year, with no violations, each one will drop off the list. The K-9 professional and mother in me feels good about this way of transitioning. The Pit Bull owner in me just wishes it would go away....yet maybe a slow transition will help us in the long run. I'm willing to wait and see. Anonymous Question: Does Dangerous/Vicious Dog Legislation seem to be taking the place of BSL? Anonymous Question: Are Pit Bulls really as vicious as they are portrayed on the news? Answer: No one breed is "vicious", there are only vicious dogs. All breeds have been bred over hundreds of years for specific jobs. Some herd our cattle, some catch rodents, some guard our property, some are lap dogs, and some are bred to take down lions. 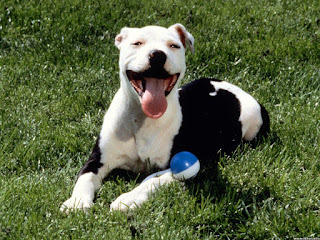 American Pit bull Terriers and Staffordshire Terriers were bred to work. They helped catch and hold bulls until their owner told them to release. They were also bred to be gentle with their families when they got home from working. Often times people used them to protect the property and children from intruders (human or animal). They were bred to be an extremely loyal breed with a high pain tolerance. It has been said that a Pit Bull's best attribute is their worst attribute... LOYALTY. They will do ANYTHING their owner wants them to do; from a house and family dog to a fighting dog. So maybe we should we focus more on the human aspect of the equation??? Professionals are finding more and more that humans are playing a bigger part in dog bites than once believed. Any breed of dog, that seriously injures a human, does so for four reasons... Lack of training and management, poor living conditions, poor breeding, or an unfortunate accident. Go through and really look at the dog bite fatalities over the years. You will find a few common denominators... The bigger the teeth and the smaller the human, the worse the bite can be; Domestic violence and/or drugs in the house; Wild dogs; Lack of adult supervision; or again, just an unfortunate accident. 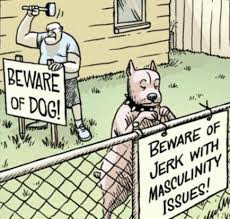 So, are pit bulls really as vicious as they are often portrayed? Do some investigating. Don't just believe the first or most popular news report. Look at multiple reports. You just might find that the words "Pit Bull Attack" are used to draw in viewers and the real news stories after the investigation aren't quite as publicized. You just might find that humans are almost always at fault when it comes to dog bites. You just might find that more education is needed when it comes to what our dogs are really telling us everyday. Anonymous Question: Is the City talking about expanding the Pit Bull ordinance to all "Dangerous Breeds"? Answer: First I would like to say that a lot of people are talking about a lot of things. I cannot speak for the City except that the City Council is waiting for the recommendations of the citizens and professionals on the Animal Issues Task force. The AITF wants to expand the ordinance to "all dangerous dogs". This would allow the city officials to punish the dangerous dogs and irresponsible owners rather than all citizens who own specific breeds. If the ordinance changes are considered and/or accepted we have to take our time changing from BSL. There were hundreds of Pit mixes that were dumped when the ordinance went in place and in my opinion it would not help us if those irresponsible people went out and got another just because the ordinance has changed again. As a power breed owner, I only want responsible people, who are willing to get educated to own our breeds. I am going to start my first post by asking all my followers in and around Springfield, Mo not to panic and to calmly participate as people's questions get answered about our Breed Specific Legislation and other related subjects. There are a lot of crazy rumors out there and it is time to clear the air. After attending the the Animal Issues Task Force meetings for over a year, and listening to what everyone from concerned citizens to Animal Control employees to city officials has to say, I believe the Task Force has come up with the best proposal possible. As much as I would like to see the BSL disappear tonight, if we don't take our time changing to a Potentially Dangerous Dog, Dangerous Dog, and Irresponsible Owner Legislation we could end up supporting the irresponsible people who put us in this position today. I can be just as passionate as the next Pit Bull lover, but I am going to keep my filter on and act like an adult. Those of you that know me can stop laughing now. I have done very well with some of our biggest adversaries in the past year. I have actually learned a lot from them, especially about how people rationalize BSL. (I am in no way saying I agree with the rationalization, but I do understand it better). I would also like to ask our entire Pit Bull community to sit back and listen before getting upset like we did six years ago. The two sides actually agree that no one wants dangerous dogs running around mauling children. So we have to pull up our big girl (or boy) pants and get educated. Telling stories about how wonderful our dogs are isn't going to stop someone, who has never seen a Pit, from being scared. Helping them to understand about dog behavior, temperament, owner mentality, and responsible pet ownership is gonna be our ticket to freedom. Don't get defensive. Send people to the blog where we can answer questions. Some questions may seem stupid to bully owners, but people who don't live our lives can't know all the same things as us. I'm not going to allow any bullying. (No pun intended).